Newsletter is a publication that provides information or news that is significant to a special group. It has become a necessity for companies as it can keep customer abreast with the latest news, events and happening. Newsletter is equally beneficial for both customer as well as the company as the former can use information for their benefits while for later, it is a cost efficient way to communicate with its clientele. It helps to maintain a translucency from a business point of view. It strengthens the bond with existing customer and helps to win the trust of new ones. To get such results, it is important to avail services of a good printing company for your printing endeavor. The right way to select a company is on the basis of experience and successful projects they have done. When it comes to this, there is one company that completely justices this criteria and much more that - S S Graphics . 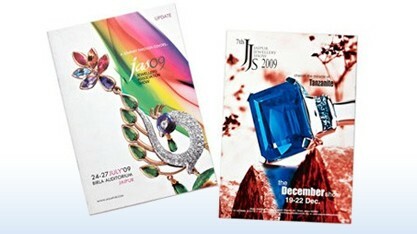 We, S S Graphics are ruling the printing industry for the last 18-years. During this tenure we have successfully printed newsletters for national and international businesses, government & semi government organizations, public center enterprises, small and medium business; we are still going very strong, our supreme quality and timely service have helped us to built royal customer base that is constantly increasing. S S Graphics have the ability to print newsletters that will help your business to enhance its identity and strongly built a brand image. Our proficient designers achieve this unique feet by intelligently blending colors, logo and design to give that eye-catching look. We believe the complete packaging is what it makes the difference, so we use premium quality papers, colors, and inks for printing newsletter. Top of this, our industry specific tailor made design is like icing on the cake and final product will surely leave a lasting impression on the reader. Newsletters are a great way to spread the information about your business, services, products among masses. Depending on the content, color newsletters can be published monthly, quarterly or yearly.They contain much more information about your business as compared to printed flyers therby giving the people an insight in your company. The newsletters should cover a variety of topics but yet be brief and descriptive enough to highlight the features and benefits of your company’s products and services in a manner that it interest every one reading the newsletter. With a wide range of design, stock, size, folding and finishing choices, S S Graphics customizes your newsletter to create quality and make it stand out. Newsletters are even used to cover any particular event thereby highlighting the top stories for the day . They are even used for covering the whole wedding ceremony!